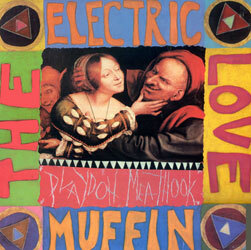 Besides Scram I don’t think there is another band that I have seen as many times (or ever will) as Electric Love Muffin. For the first two years I lived in Philly I saw them (and usually Scram) it seems like at least once a week. Judging by the number of flyers (see below) I think my memory might be right this time.The very first show I saw in Philly they played with NOTA – the show got broken up by the cops but then Scram was playing at another party in West Philly later so, the trend of seeing both bands started on my first night of shows in Philly. I’m not sure why but the venue that sticks out for me was seeing them at Tops which was the space above McGlinchey’s. Probably because their rules on carding where somewhat lax at the time (although I might have been straight-edge at the time so who knows.). 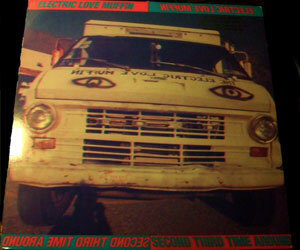 Electric Love Muffin were always fun to see and they would throw in some great covers like Highway Star (often with guest singers), Venus and Norwegian Wood. I always thought their sound seemed influenced by Minneapolis bands like Huskers and Soul Asylum (Pre-MTV days). 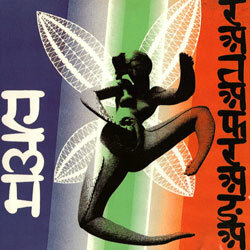 As far as I can tell from searching the web none of their records are currently available to buy so I’m putting them up here.